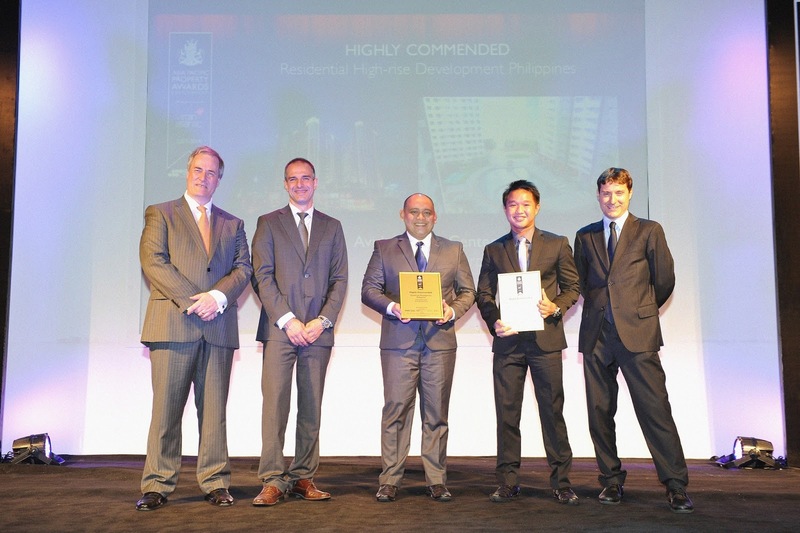 Avida Land has reaffirmed the world-class quality of its properties and brand of service by winning two prestigious awards from The Asia Pacific Property Awards 2013-2014, held last May 10 at the Shangri-la Hotel in Kuala Lumpur, Malaysia. The Ayala Land Inc. subsidiary received awards in two categories of the regional competition: Avida Towers Riala won Highly Commended Mixed-use Development in the Philippines while Avida Towers Centera was Highly Commended Residential High-rise Development in the Philippines. Situated at the renowned Cebu IT Park, Avida Towers Riala provides a balance of urban life and environmental tranquility by offering residential convenience and accessibility to various business offices and retail centers, along with the enjoyment of the property’s wide expanse of breathable green open spaces. Avida Towers Centera is a four-tower development strategically located along EDSA in Mandaluyong City. It is highly commended for its unique mixed-use features, particularly its two-storey retail area and zoned amenities. The Asia Pacific Property Awards holds the tradition of convening Asia’s finest developers, architects, interior designers, and real estate experts to recognize commendable property developers that uphold the industry’s international standards of excellence. It is part of the long-established International Property Awards, which has been recognizing the achievements of residential and commercial property professionals from around the world since 1995. By winning two awards and passing the meticulous standards of The Asia Pacific Property Awards’ international panel of experts, Avida Land is even more inspired to become the forerunner of master planned mixed-use developments and internationally renowned properties that help elevate the status of the Philippines as the center of Asia’s finest homes.